Some moviegoers have been known to crunch popcorn, bite their fingers or grab their neighbor’s hands during the intense scenes of a thriller. But for one fan, the on-screen action in the new superhero film Black Panther led to a different reaction. Sophia Robb, an 18-year-old Californian, had to make an emergency visit to the orthodontic office because she snapped the steel wire on her retainer while watching a battle scene featuring her Hollywood crush, Michael B. Jordan. Her jaw-clenching mishap went viral and even prompted an unexpected reply from the actor himself! While it’s much more common to lose a removable retainer than to damage one, it is possible for even sturdy retainers to wear out or break. This includes traditional plastic-and-wire types (also called Hawley retainers), clear plastic retainers that are molded to fit your teeth (sometimes called Essix retainers), and bonded retainers: the kind that consists of a wire that’s permanently attached to the back side of your teeth. So whichever kind you use, do what Sophia did if you feel that anything is amiss—have it looked at right away! 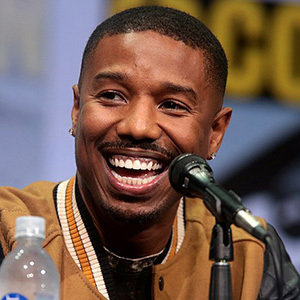 When Black Panther co-star Michael B. Jordan heard about the retainer mishap, he sent a message to the teen: “Since I feel partly responsible for breaking your retainers let me know if I can replace them.” His young fan was grateful for the offer—but even more thrilled to have a celebrity twitter follower. Why Bear a Chipped Tooth? Dental Implants and Smoking - Cause for Concern? Could a Metal Allergy Keep You From Getting a Dental Implant?